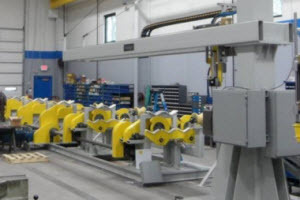 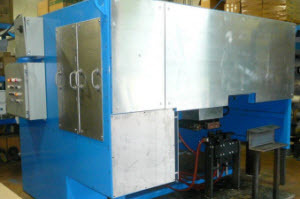 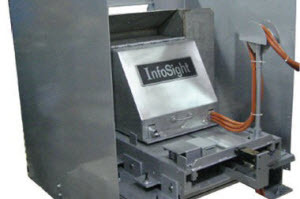 The InfoSight model KE2900 Automatic Single Station Slab Tagging System for stationary slabs is the ideal barcode tag solution for MIG-welded tag identification of hot carbon steel slabs with high-contrast marking. 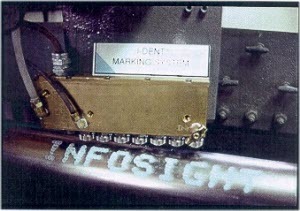 InfoSight's Model 2951 FlagTag™ Metal Tag Marker and Applicator uses a moving, focused CO2 laser beam to darken the pre-coated (white) tag surface to produce high definition black characters, bar codes, or even logos. 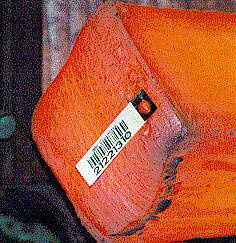 The text and bar code data is downloaded from the host computer or entered from an operator terminal. 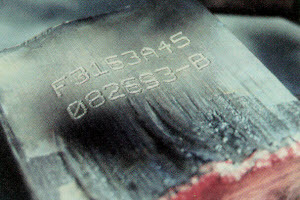 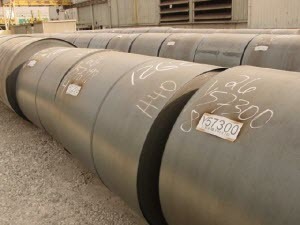 The resultant tag is then automatically sheared and mig welded to slabs, billets or blooms. 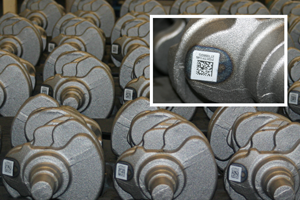 InfoSight Corporation has developed new technology for direct laser marking of automotive components with high contrast bar codes and text messages.